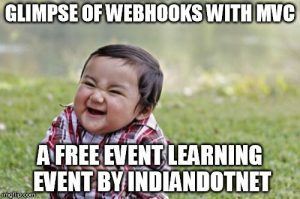 Greetings from Indore Software Development Community (https://goo.gl/YiFeR9) & Indiandotnet Community (https://goo.gl/jiPZRH). Our Community is running since 2008 with the aim to provide technical & managerial knowledge across the technical group free of cost. Indore Software Development Community has approx 1300 active members & Indiandotnet has 500 active members.